Beyond the boxscore - 12.12.2018 - The Point Data-driven hockey storytelling that gets right to the point. 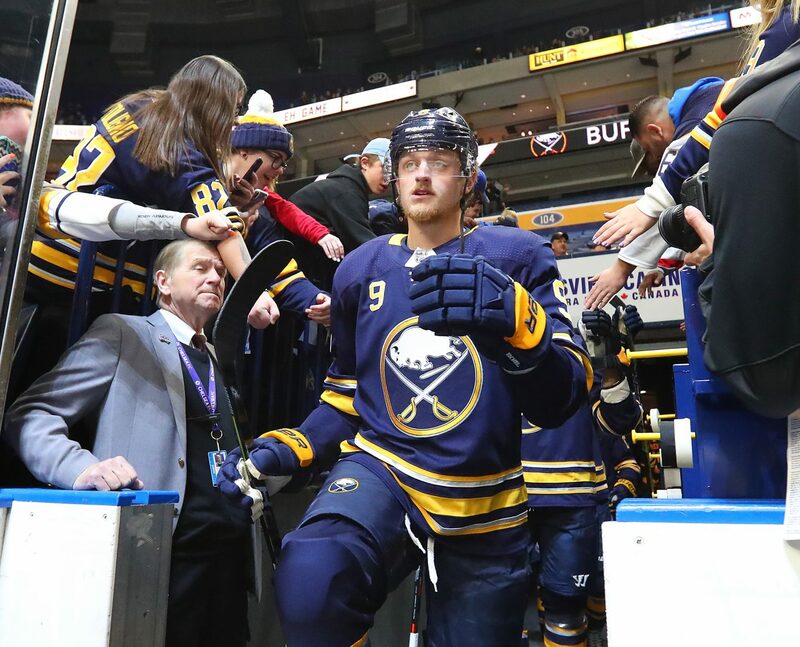 Eichel’s one goal and one assist made for a strong night but it doesn’t show just how good he was. His 14 controlled entries, 5 slot shots, and 2:32 OZ Possession time were season-highs for himself and close to the highest by any player this season. Not to mention he played 25:58 of ice time in their 4-3 overtime win versus the Kings. Dahlin’s 4 slot shots were tied for the most by a defenseman this season and his 1:33 of offensive zone possession time was the second most of his career. 28:34 of ice time is a ton of ice-time for any defensemen, let alone an 18-year-old. This rush alone punctuates how patient he is with the puck and why he’s thought of so highly. The Wings may have lost 6-2 but Larkin was a lone bright spot. He created 9 scoring chances, scoring one while being difficult to play against in his defensive zone with 5 DZ blocked passes and 3 DZ stick checks. Ristolainen used his 1:18 of offensive zone possession time and over 31 minutes of ice-time to produce 4 slot shots and 2 assists. Like Dahlin, his 4 slot shots were tied for the most by a defenseman this season. Draisaitl had a great night on the scoresheet with one goal and 2 assists in their 6-4 win over Colorado. What makes his night really impressive was how effective he was at transitioning the puck to offense with his game-high 9 controlled entries and 10 controlled exits.